Recently I received an email from an individual that wanted to know more about the Calling. In this email the individual had expressed that they believed that they were called to be a shaman but they were not sure. They told me that they were confused about the whole issue, but further inquiry into their reasoning for wanting to know more about the Calling. Was that they were trying to use the situation to justify engaging in some illegal and harmful practices. When I told this individual that just because some shamans engage in certain practices out of tradition doesn’t mean that we all have to. This individual had already made up their mind, and I got the impression that they already had certain paraphernalia in their possession. When I tried to contact the individual and tell them that they needed to contemplate their decision and really speak with their ancestors. This individual could no longer be reached or at least they wouldn’t respond to my emails. I had seen this before but not to this extent that is people misusing spiritual traditions to justify their lower self-ambitions. The first time I witnessed this was when I met a young man who wanted to be a Rastafarian, only later to discover that the reason Rastafarianism appeared to him was because he wanted to smoke weed (marijuana). I am not angry or upset with this individual because I understand with all the New Age material that has been published lately about shamanism. It is very easy to believe that anytime you feel a strong urge to do something, to mistake it as your calling, but I want people to be warned because in the West. People have a bad habit of taking parts of other people’s cultures and traditions to suit their egotistic purposes. Don’t do this with shamanism. Don’t mess with the ancestors and other spirits like that. I don’t care how cliche’ or superstitious it may sound. When you offend REAL SPIRITS they will have you walking around thinking you are all that, not realizing that you are a making a serious fool of yourself. REAL SPIRITS will back and support you when they want you to do something. Why? I don’t know. In fact I stopped trying to figure out why and how things work on the other side in KAMTA anyway. The reason I stopped trying to figure out why is because I noticed that every time I did, I got more and more confused. In fact, every time I pressed the issue. I got more and more confused. It comes to now that the reason this was happening is because I was not dead, so I functioned with a different vibe then them. So let me be clear. Shamanism is great! I love everything about it. It is the only tradition that I have found that is both mystical and practical. Besides that, shamanism is one of the few traditions that anyone can practice and you don’t have to be initiated in order to practice it. In fact you don’t have to follow any particular path or system or mimic what other people do. 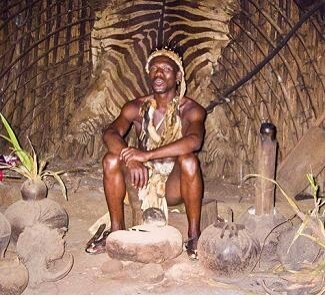 All you have to do is listen to your ancestral spirits. This is what I tried to explain to the individual that contacted me trying to get my approval. But, here is where the danger lies, in its simplicity. Because no one comes out and physically tells an individual that they can or cannot call them self a shaman, People are going out in the world claiming to be a shaman and they haven’t been authorized by their ancestral spirits to do so. Simply put these individuals have not been baptized by the spirits. If you are wondering if you have been authorized by the spirits to be a shaman. You most likely have not because you would know and no one has to tell you. This doesn’t mean that you can’t practice shamanism such as honoring your ancestors and the various guardian spirits in your life, because you can. Shamanism from this perspective and for you is simply meant to be a family practice. It just means at this level you are not authorized to help other people at the present. For instance, in Cuba, just about everyone knows a little something about the spirits. Many of the people will share with you what worked for them because the Afro-Cuban spiritual traditions are passed around like folk traditions. But, when real problems occur, they will tell you to go see a babalawo, the high priest or some other spiritual authority. These are individuals that have gone through some training or have at least had some experience dealing with spiritual matters. If you haven’t gone through the rigorous training or overcome your lower self and you are declaring that you have spiritual authority. 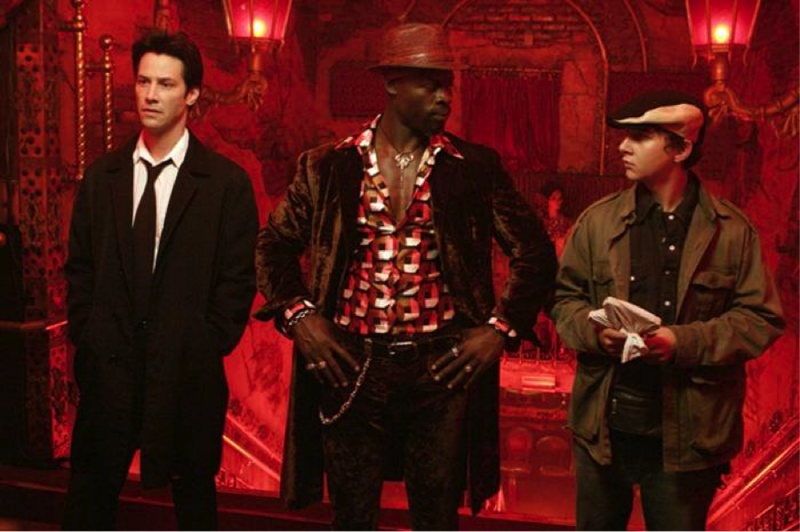 You are preparing yourself to go into gunfight without a bulletproof vest or even a weapon, just book knowledge like Shia LeBoef’s character in the cult classic Constantine. Now there’s a bit of confusion on really what the Calling is about. I will not go into why this confusion exist because we don’t have time, but let me explain what the Calling is about from my perspective. We have all been in situations where an idea comes to us or a little small voice tell us, “Turn down that road”, “Don’t say that”, “Don’t forget this,” and so on. Then when we don’t listen to it, we find ourselves wishing we had. The reason this occurs is because according to the maa aankh when our ab – soul awareness is introverted and at the Amun Ra moment. We are open and our aakhu (ancestral spirits), netcharu (guardian spirits) or (as some choose to believe) God, is able to provide us with quick counsel, because the automatic lower part of our being – the sahu – is busy focusing on us walking or some other mundane activity. When we receive this quick counsel it appears in our awareness as a bright idea, flash of insight, intuitive thought, premonition, an epiphany or an A-ha moment because it is reminiscent of the lunar brilliance of Amun Ra. The reason we receive this quick counsel is because we are in danger of wandering off course and altering our destiny our purpose – our maa. So, this quick counsel comes to us like a siren going off breaking the silence. 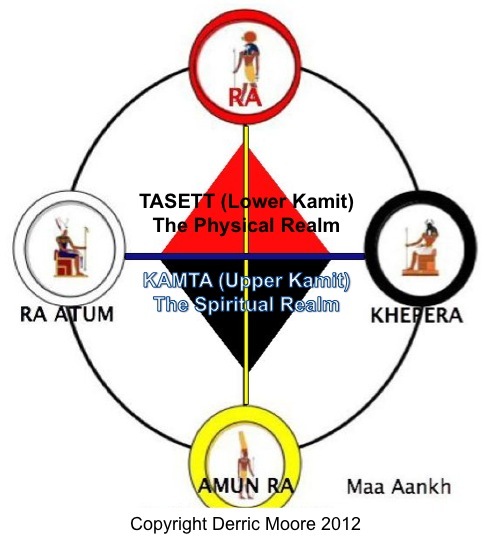 When we receive this quick counsel we need to act upon it because as the maa aankh illustrates the maa connects Amun Ra with the Ra. This means when we have that premonition, flash of insight, bright idea, an A-ha moment. If we do not act upon it, symbolized as the Ra moment. It will lead to us having unfortunate circumstances, since the Ra leads to Ra Atum – the setting sun, death or drastic change. Well, the same thing occurs when we are Called. Many people think that the Calling only refers to being Called to be a shaman or to enter into the pulpit to be a preacher, but the Calling actually refers to be called to implement any physical change as dictated by the Spirit(s). When an individual is Called, they are actually called to be a problem fixer. The reason they are Called is because they are in a position to make things right or bring balance to a situation where there is none. This is why when you received the calling; you have a sudden awakening or change in consciousness that something is not right. So the things you use to do, you don’t do anymore because you don’t see the logic or see it benefiting anyone. That’s really what the Calling is about. We have all heard that if you don’t answer the Calling you will experience setbacks. Well, the reason when you don’t acknowledge the Calling and don’t work to accept it by implementing change you experience problems. Is because remember, when you have an epiphany, a-ha moment, etc. and you don’t act upon it, you have problems for not following your intuition. Well, the same occurs when you ignore the Calling because you are responsible for making change and it rests on your conscience. You become just as responsible for those creating the problem by not working to eradicate it. The only way to answer the Calling is to work at creating the change that Called you in the first place. For instance, I have a cousin who was a drug addict but now runs a successful substance abuse program helping others to overcome their addiction. When I asked him what made him change his life and decide to become a substance abuse counselor. He told me that while doing drugs he basically had a vision telling him that he need to stop and help others, but he refused to follow his intuition. He kept having the same vision but he refused to follow it. Then after ignoring his intuition for so long, he had an accident and caught on fire. After his accident, while recovering he began to go through the proper channels to overcome his addiction and in addition help others. After being clean for several years he began helping others to do the same. So you see, his Calling was also his cure or salvation. This is rarely mentioned in books, but most people that are Called often find that the solution to their problem lies within them. Most shamans didn’t want to be a shaman. They grew into that role because it was something that they had to do. They overcame certain obstacles and as a result were authorized to help others. An individual that is Called helps themselves by helping others. So if no one told you or you never read it in a book. I am telling you that your Calling has nothing to do with servicing your selfish lower desires. It is all about serving and helping others because something within you made you aware of an impending problem that exists in your life and the lives of others. If what you are doing is not helping or benefiting the lives of others, most likely it has nothing to do with your Calling, but rather your ego. As a matter of fact, if you are trying to pursue or find your Calling, most likely this is ego driven as well, because your Calling is not a goal. It is who you are. Of course, he was young and didn’t heed my warning, and kept trying to pursue his dream of being a healer. Then one day I got a call from him. He and his wife had separated then divorced. He was fired from a good paying job he was at, while he bounced back and forth between the part-time jobs he had found. With no money, he ended up moving back in with his parents. Fortunately, things cleared up as soon as he stopped trying to be a healer. His remarried his wife, moved into a new home and got a better paying job, where the company was willing to pay for him to return to school to get his EMT license and certifications. Clearly the pursuit to be a healer was an illusionary dream and not his Calling or at least at the present. I was meant to read this. Tua Neter! (Thank God). Tua U Shepsu Tu Tchaas (thank you great ancestors). It was only last night I was crying my eyes out during Libation prayer asking for their help and answers.